The Pentagon is launching drones and spy planes from at least 63 locations within the United States. The Federal Aviation Administration released the data following a Freedom of Information Act request by the Electronic Frontier Foundation. Research and development of drone technology is booming right now, so it’s no surprise that nineteen college campuses are also listed as registered launch sites. But this information is bound to ruffle the feathers of privacy activists, who are concerned that unmanned aerial drones could be used to spy over residential areas. 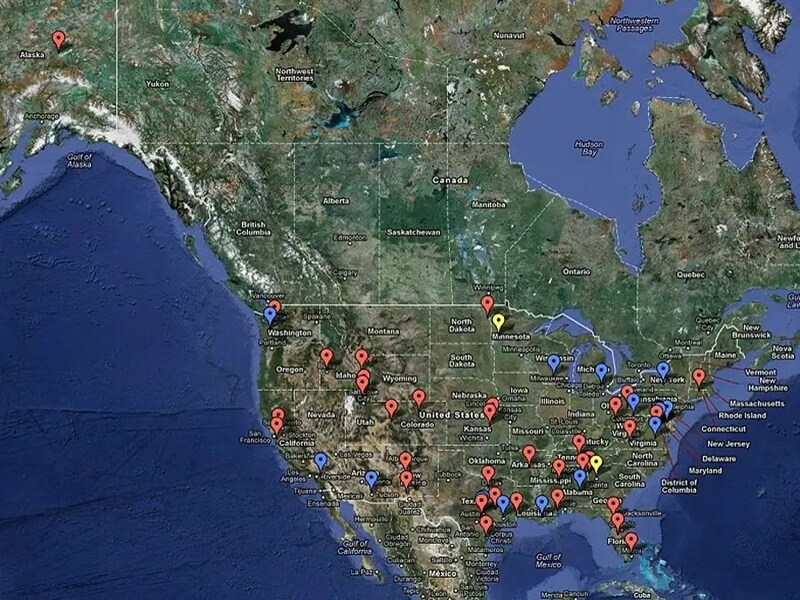 For a full listing, check out this Google Map of U.S. drone sites.